Welcome to my inaugural blog post! Take a look around and let me know what you think of the new website. I've never created anything like this before and it's been quite the learning experience. But after many hours of hard work in front of the computer I'm proud to say I did it all on my own (with a little help from Google of course!). I hope you enjoy these photos of baby Aubrey and her beautiful momma. I first met Aubrey's parents not long after I moved to Redding about 7 years ago. They are two of the sweetest, funniest, most genuine folks I've ever met. Together they have made a beautiful family with their son Parker and now their newest addition, Aubrey. Charee, Aubrey's momma, was kind enough to agree to model for me in these pictures. I've always felt that pregnancy is such a beautiful phase in the life of every woman and family. There's so much joy, anticipation and hope for all the things we have dreamed of being able to do with our own children. I really believe that every woman is beautiful when she's expecting and it's my pleasure to capture that beauty in a picture for them to treasure and keep for many years to come. Since she was due in early May we planned her maternity photo session for April. Thankfully mother nature was kind to us and provided a beautiful field of wildflowers not far from my farm here in Redding to use as a backdrop. 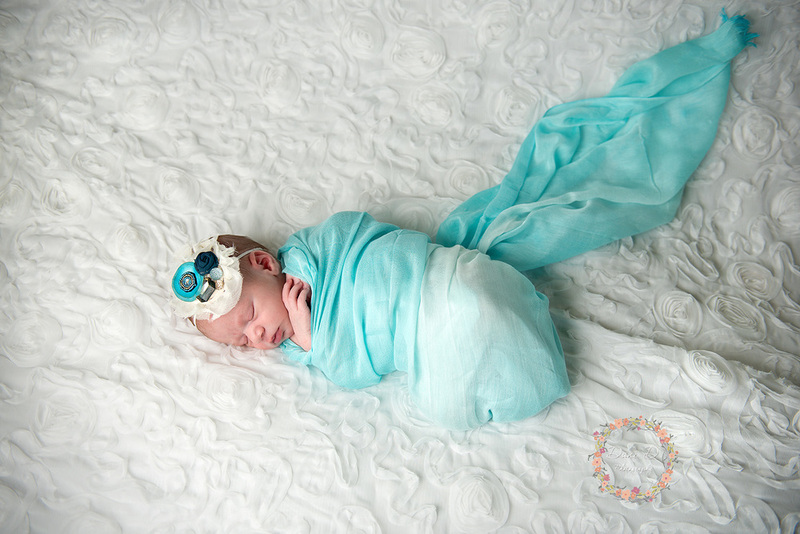 About a month later Aubrey made her appearance and joined me in the studio for her photo session. She was such a good baby and we got her photos done in just a couple of hours.